I want to tackle a subject that is, to some speciality coffee people, anathema. No, not decaf, I did that already. Today, I’m talking about storing coffee, long-term, in the freezer. There’s a wide consensus on how coffee should be ideally stored: as whole beans, in an airtight container, in a cool, dark place. Never store ground coffee (ie always grind just before you use it) and never store your coffee in the refrigerator. But what about the freezer? You see, I have a problem. These days, I’m never short of coffee, with people regularly send me things to try. More often than not, though, the bulk of my coffee is given to me at festivals, where I usually return with two or three kg of coffee, many times more than I can drink in a reasonable timescale. Some I will use immediately, some I will give away, but the question is, what to do with the rest? My trip to Rome at the start of the month was, as might be expected given Rome’s espresso culture, dominated by espresso. I also didn’t help myself, visiting the likes of Tazza D’Oro and near-neighbour, Sant’ Eustachio Il Caffè. That said, if you look hard enough, you can find pour-over, usually hand-in-hand with speciality coffee. Most prominent of the places I visited was Faro, the self-proclaimed first speciality coffee shop in Rome. Pour-over was also on offer at The Tram Depot, although when we ordered some one evening we were told that the barista who knew how to do pour-over had gone home. To the staff’s credit, they didn’t want to serve us badly-made coffee, so politely declined (we had espresso instead). I’ve just returned from 10 days in Rome, five for work, followed by five days of sight-seeing. It’s a city that I adore, but I must confess that I approached the trip with more than a little trepidation, looking forward to the sight-seeing far more than I was the coffee. I last went to Rome almost 10 years ago, long before the Coffee Spot, back when I thought that Italian espresso (and Italian espresso culture) was the pinnacle of coffee. It’s also the city, where, almost 20 years ago, I first gained my love for espresso. Since then, many things have changed, including my taste in coffee and my opinions of it. I feared that I wouldn’t enjoy the coffee, which in turn might spoil my memories of Rome. Coffee in Rome, and Italian coffee more widely, divides opinion. 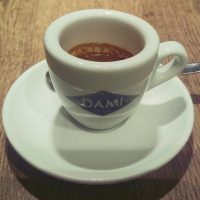 There are those who dismiss it, saying that Italy has not moved on, that the coffee is rubbish, while at the other end of the spectrum, there are plenty who still hold Italian espresso as the pinnacle of coffee culture. As is often the case, the truth lies somewhere between these two extremes. Airline coffee has a pretty bad (and, frankly, often well-deserved) reputation, but around the industry, steps are being taken to rectify this, with British Airways and Union Hand-roasted leading the way. 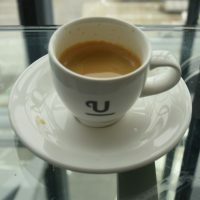 The two have teamed up to provide Union coffee at British Airways’ UK lounges and, on long-haul flights, in the First Class and Club World cabins. Last month, I flew to Tokyo and back in Club World, giving me a chance to sample the coffee both on the ground and in the air. 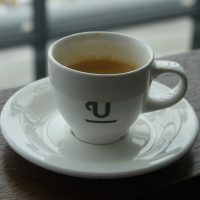 I wrote up my experiences of the coffee on my way out to Tokyo and, on the back of that article, got an invitation from Geoff Cliff, the man at Union responsible for the day-to-day management of the British Airways account. A week after I returned, I popped over to Union’s East London roastery, where Geoff and I talked about the considerable undertaking of providing not just coffee, but also the training that goes with it, across the entire British Airways long-haul fleet. Today’s Saturday Supplement is a follow-up to my original piece, where you can discover what I made of the coffee on the way back from Tokyo and what I learnt from meeting Geoff. 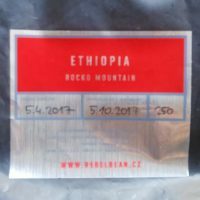 One of the frustrations of being a coffee blogger is that I rarely go back to places on a regular basis, nor do I get to sample the full range of coffee on offer, particularly somewhere like About Life, which has six single-origins available as either pour-over or espresso. 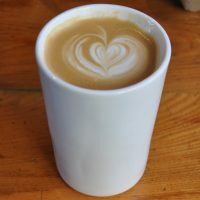 However, it struck me as I ordered my two-shot latte on the first morning that there were no other decent coffee options near the office and, with two or three long breaks each day, there was every chance I could actually sample all the coffee. Regular readers of my Brian’s Travel Spot posts will know that I have a poor opinion of airline coffee, and, as a result, I’ve taken to making my own coffee on long-haul flights over the last few years. However, to its credit, British Airways has also recognised this short-coming and has recently partnered with Union Hand-roasted to up its coffee game. Union is supplying coffee to the British Airways lounges and, in the first instance, to the First Class add Club World cabins on long-haul flights, although there are no immediate plans to roll it out to World Traveller cabins or to serve it on short-haul flights (I had originally thought that this would be the case, but I since learnt that I was wrong!). As luck would have it, on Friday I flew with British Airways from Manchester to Tokyo, via Heathrow, not long after Union’s coffee was introduced, giving me the chance to experience it first-hand. Normally I would write this up as part of my longer Travel Spot covering the flight. However, these take me absolutely ages to write and, since there’s quite a bit of interest in this, I thought I would put it on its own, self-contained post, rather than burying it in a longer post. 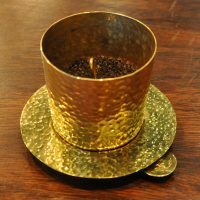 Last week I received an intriguing e-mail from Aniko Somogyi from the Anikona coffee farm in Hawaii. Aniko hosts a show called My Favorite Coffee Story on VoiceAmerica, an internet-based talk radio station. I must confess that I’d not come across My Favorite Coffee Story before (or VoiceAmerica for that matter), but I was intrigued. Each week, Aniko interviews someone from the world of coffee and they spend an hour talking coffee. The shows are pre-recorded and broadcast, unedited, every Tuesday at 4pm Pacific Time (midnight in the UK), with all the previous episodes available on-demand on the VoiceAmerica website or as a podcast (just search for My Favorite Coffee Story on your podcast software/service). This time last year, I kicked off 2017 with a plea to stop using disposable coffee cups. In a piece of remarkably good timing, the House of Commons Environmental Audit Committee published its report on disposable coffee cups yesterday, almost a year to the day after my piece. Now, I can’t take all (any?) of the credit for this: plenty of people, some of them a lot more influential than me, have been making the point for several years now, although seemingly with little effect. According to the report, at least 2.5 billion coffee cups are thrown away each year, with ½ million coffee cups being dropped as litter each day. What’s worse is that a lot of these cups are put into recycling bins by well-meaning consumers who think that they are recyclable when in fact they are not. This potentially contaminates the whole load, which means that it’s worse than just throwing them away. As the report notes, a depressingly small 1 in 400 disposable coffee cups are recycled. In response to this, the report’s proposed solution is a minimum 25p levy on each disposable cup, something which has met with mixed reactions within the speciality coffee industry. Welcome to the second of my three-part exploration of traditional Vietnamese coffee. As I explained in Part I, I’ve been exploring the local coffee culture during my time in Vietnam. The Vietnamese are volume coffee drinkers: I’ve not been anywhere with this many coffee shops! They are literally on every corner, often open from first thing in the morning to last thing at night. 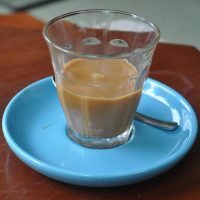 However, traditional Vietnamese coffee, made using the cà phê phin, a cup-top metal filter, served either hot or over ice, and often with condensed milk, has a reputation for being strong, sweet and heavy on the Robusta. Sadly, much of that does not appeal to me, but, despite my initially scepticism, I found, to my surprise, that I liked many aspects of both the culture and of the coffee itself. In Part I, I shared my initial, rather unsuccessful, forays into traditional Vietnamese coffee, followed by my conversion when I tried the combination of speciality coffee and the cà phê phin. In this, Part II, I continue my exploration with coffee over ice plus coffee with condensed milk. Finally, Part III covers my experiments of using my own cà phê phin to make coffee. In the run up to my current trip, I’d heard an awful lot about the Vietnamese taste for coffee. There’s no doubt that the Vietnamese like their coffee. 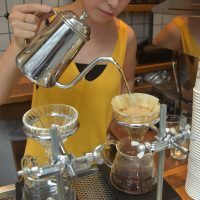 There are coffee shops everywhere, open from first thing in the morning to last thing at night, ranging from tiny independent hole-in-the-wall operations right through to massive national chains. Starbucks is also here in strength. However, volume of consumption is one thing, but what about the quality? Yes, you can find speciality coffee in Vietnam, and pretty good coffee at that, but I’m talking about traditional Vietnamese coffee, made using a cup-top metal filter (cà phê phin), strong and sweet, served either hot or over ice, often with condensed milk. I confess that this did not appeal to me. I gave up sugar in my coffee over 25 years ago and the idea of coffee with condensed milk makes me shudder. I’m also no fan of cold coffee, except a good quality filter that has been left to go cold. Cold brew, coffee over ice, anything like that, I really don’t enjoy.